I absolutely adored living in Hampden. It celebrates its history with Honfest and the what it's becoming with Hampdenfest. An entire block bursts with Christmas spirit every November and December (okay, and with people and traffic). It's also extremely walkable. My favorite thing to do on weekend mornings was walk to the avenue and grab a breakfast sandwich and peanut butter-banana-chai smoothie from Common Ground. Lexington actually reminds me a lot of Hampden. The streets of Lexington are a decorated a bit better than 34th street in the 21211. But the streets are lined with locally-owned and operated stores and restaurants. Instead of the Charmery, we have Pronto- and Pronto sells WINE. You may not be able to get kangaroo tartare like at Corner BYOB (seriously so good), but you can get a lamb trio with Mindoro blue polenta and kalamata olives at The Red Hen. Eventhough I am quickly developing an obsession with the breakfast and smoothies at Kind Roots, they don't have chai smoothies. Recently, I tried Arbonne's Chocolate Protein Shake mix and I loved it. It also packs 20 grams of vegan protein, 20 essential vitamins and minerals, and a low glycemic index! As good as the mix is plain, I knew it could be better. The addition of chai spice and almond milk make all the difference. It the perfect morning wake-up and keeps me feeling full until my lunch-break. It's also so creamy that you would swear it was mixed in a blender with ice cream. The best part is you don't actually use a blender, which means you don't have to clean a blender! 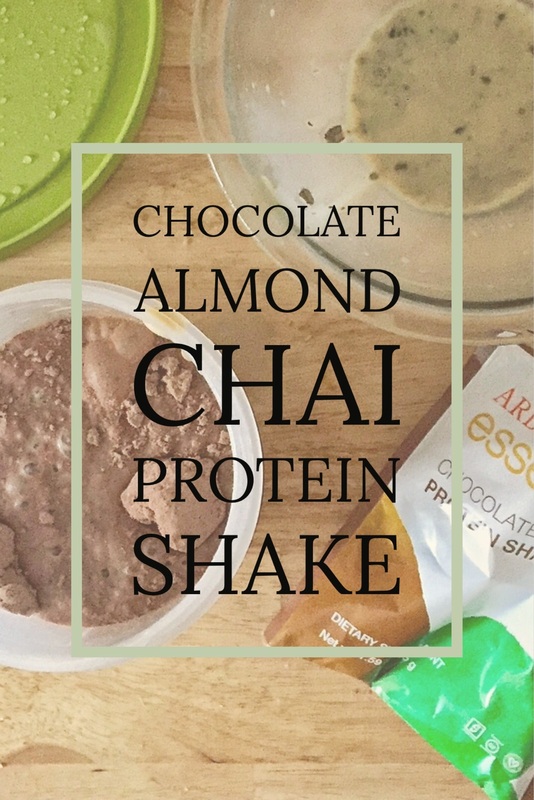 To make your Chocolate-Almond-Chai shake, put 9 ounces of almond milk in a pot over medium heat. 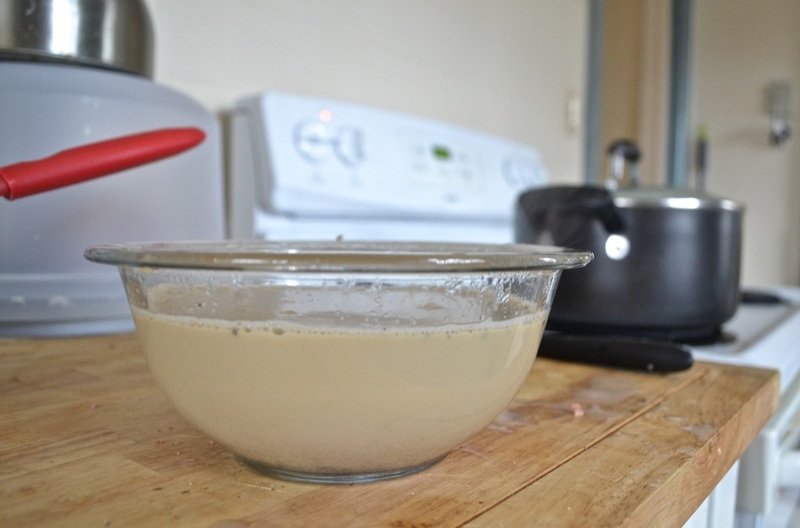 Add two chai tea bags or 1.5 teaspoons of loose tea to the almond milk. I use a mixture of Samurai Chai Mate and Maharaja Chai Oolong from Teavana. Heat the tea mixture, stiring occasionally, until fragrant. Remove the teabags (or strain the tea), let cool, and store in the fridge in an airtight container. Once the tea mixture is cool, add the protein mix to your favorite shaker. Next add the almond-chai tea. You can also add a scoop of almond butter, peanut butter, chia seeds, or any supplements like fiber or calcium. Once you've added everything you want, screw on the top and shake it up like Daniel Craig just ordered a martini. Enjoy your delicious shake and start your day! If you are interested in purchasing the Arbonne Chocolate Protein Shake mix, reach out to your independent consultant. I buy my products from Stacey Molli and you can too at www.staceymolli.arbonne.com!